Umesh Sharma is a Consultant in Hospital Medicine for the Mayo Clinic Health System and an Assistant Professor of Medicine: Mayo Clinic College of Medicine. He has received his Master of Business Administration from the University of Massachusetts, Amherst, Isenberg School of Business and leads Clinical Integration of Hospital Medicine departments across various sites in Mayo Clinic Health System in WI, MN. Jennifer Tavares-Kitchen, Manager of Clinical Operations of General Pediatrics, Advocate Children’s Hospital-Oak Lawn Campus. Jennifer completed her Bachelor of Science at Lewis University in Romeoville, Illinois. She recently completed her MBA and MSN dual degrees at Lewis University in Romeoville, Illinois. Jennifer is the Manager of Clinical Operations on a 23 bed General Pediatric unit that provides care for Cardiology, Rehabilitation and General Pediatric Patients. She is currently enrolled in the DNP program at Lewis University in Romeoville, Illinois. Professor Kirkhorn completed her PhD at the age of 25 years from Gonzaga University in Spokane, Washington, USA. She has also participated in postdoctoral studies in statistics at University of Michigan-Ann Arbor and at University of North Carolina Chapel Hill for the study of Chronic Illness. She is Professor and Chair of Nursing at Indiana University-Purdue University Fort Wayne. She has co-edited six books on Pathophysiology and she has written many papers regarding chronic illness, ethics, and healthcare in reputed journals throughout the USA. 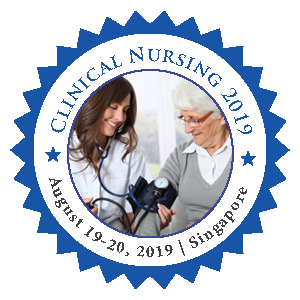 Kathleen Lamaute EdD, FNP-BC, NEA-BC, CNE, MA, MS, RN is a Professor of Nursing at Molloy College Barbara Hagan School of Nursing in Rockville Centre, New York. She has given numerous national and international presentations Dr. Lamaute has designed, developed and implemented numerous courses offered within the college curriculum: These courses include: Family nurse practitioner program- all courses, Genetics and Genomics: Implications for Nursing Practice, Leadership focus on global issues, Vulnerable Populations, Nursing Focus on the Post Katrina Environment: Homelessness and Humanism, Leadership and Management. She is past Chairperson American Nurses Association Individual Member Division. She is the President of the Board of Directors Rota Care- a free clinic for the uninsured in Uniondale New York. She is an active researcher currently working on nutritional and agricultural community empowerment programs in Haiti. Dr. Mitchell is a professor at the University of Pittsburgh School of Nursing. Dr. Mitchell is currently the Project Director (PI) on two HRSA-funded grants designed to teach Screening, Brief Intervention, and Referral to Treatment (SBIRT) to Emergency Department Registered Nurses (EDRN) and Interprofessional Groups of Anesthesia Students (InGAS). She is also funded by SAMHSA to integrate SBIRT training into the Nurse Practitioner curriculum, addressing substance use across the lifespan. Lastly, she is working with the CDC on two projects to incorporate Alcohol Screening and Brief Intervention (Alcohol SBI) into nursing practice with the ultimate goal of preventing Fetal Alcohol Spectrum Disorders (FASD). Mattia J. Gilmartin is Senior Research Scientist and the Director for the Center for Continuing Education at the New York University (NYU) College of Nursing. Dr. Gilmartin’s research focuses on leadership, organizational change, innovation and value creation, and managerial effectiveness in health care organizations. She has published in leading nursing and health care management journals and serves on numerous editorial boards. Dr. Gilmartin is a member of the Academy of Management, Health Care Management Division where she was recently appointed as the division chair-elect. Mattia was awarded the University of Virginia’s Raven Award. She holds a doctoral degree from the University of Virginia, and a bachelor’s degree and a combined master’s in nursing and a master’s of business administration degree from the University of San Francisco. Dr Joy Penman holds bachelor and master's degrees in Nursing and Pharmacy. She completed her doctoral studies in palliative care. Joy teaches at the School of Nursing and Midwifery, Whyalla Campus. She has over thirty years teaching experience locally and abroad and many years nursing experience in various health care facilities. Joy has extensive experience in research and community engagement as well. In recognition of her contributions, she has been a recipient of various teaching, research and community service awards. Joy has earned internal and external research funding for various collaborative projects. She is well published in peer reviewed and non-peer reviewed journals, conferences and books. Denise Brehmer has been a Registered Nurse for 36 years with experience as a Pediatric Nurse in the acute care setting as well as the community setting. Having had a varied background in Nursing from Pediatrics to Critical Care and Community Health has allowed Professor Brehmer to be an effective faculty member for the last 20 years. She is currently employed at Indiana Wesleyan University in the USA as an Assistant Professor of Nursing. She is also employed as a Nurse Practitioner in a Wellness Setting. She is married to Lawrence Brehmer and they are parents of two grown daughters. She enjoys spending time with family, reading, attending church functions, and traveling. Heather MacDonald completed her MScN at the University of Toronto, Canada, and her PhD in Nursing at the University of Manchester, UK. She has been a professor at the University of New Brunswick in Fredericton, Canada, since 1990. In addition to having authored a number of publications, she has presented papers at various local, national, and international conferences. In addition to working at the University of New Brunswick, MacDonald has a Parish Nursing Practice. She is the mother of three. Dr. Freida Pemberton, RN-BC is a Full Professor of Nursing at Molloy College, Rockville Centre, NY and served in the position of Director of the Graduate Nursing Program for four years. Dr. Pemberton has made numerous contributions to the advancement of the Molloy College community and the community at large. She developed its Graduate Nursing Informatics component of the Administration track. Dr. Pemberton is American Nurses Credentialing Center (ANCC) Board Certified as an Informatics Nurse and continues to practice as a consultant in informatics. She has published on Distance Education, Development of a Faculty Learning Center and A Study on Nurses Attitudinal Tendencies. She has also published numerous websites designed to meet the healthcare needs of communities with limited to no access to healthcare. Dr. Pemberton’s contributions to the Profession are far outreaching after 43 years in practice. She has an exhaustive list of awards and honorable mentions. Dr. Pemberton has involvement in health care organizational programs at local, national, international, and federal levels. She established the World Wide Holistic Health Outreach non-profit 501 c3 public charity serving indigenous communities both nationally and internationally. Dr. Pemberton continues to develop innovative telecommunication programs designed to meet the specific needs of clients both nationally and internationally. She enjoys challenging students to be innovators and design programs and services that will improve the human condition for all. She has developed enrichment programs for the advancement of students in primary and secondary education that focused on science, mathematics, and computers. Students are challenged to be visionaries and to continue the outreach work that incorporates the advancements in telecommunication. Dr. Gregory Grillone is Associate Professor and Vice Chairman of the Department of Otolaryngology-Head and Neck Surgery at Boston University School of Medicine and Boston Medical Center. Dr. Grillone established the first Transoral Robotic Surgery (TORS) program in New England one of the first Transoral Robotic Surgery (TORS) programs in the United States and worldwide. His research interests are in developing newer and smaller robotic instrumentation that can be applied to more distal sites in the upper aerodigestive tract. Nancy Mc Namara is a senior nursing lecturer teaching in the Postgraduate Programme at Wintec in New Zealand. Her area of interest is simulated practice in nursing education. Although simulation is becoming very much a part nursing education, the patient role is most often assumed by a manikin. Her research explores a mode of simulation whereby students experience both recipient and provider roles in the same clinical scenario within a simulated practice environment. She had published several studies relating to a pilot programme developed to simulate clinical practice for nursing students. Collectively these studies have formed the impetus for her PhD study which is due to be completed early 2017. Johannesssen completed her PhD at the University of Oslo in 2013. She has a full time position as researcher and teacher at the Faculty of Nursing and Health promotion, Oslo and Akershus University College of Applied Sciences, and holds a part time position as a senior researcher at Health Services Research Unit, Akershus University Hospital, Lørenskog, Norway. She has a background as anestethist nurse and holds a master degree in pedagogics. She is a member of Østfold Hospital research board, and the board of Care - Health and Welfare at Oslo and Akershus University College. Hana Kadhom has 34 years of experience in Nursing as a Practitioner and Educator. Her experience has been across the Middle East and UK. She has obtainedrnher PhD from Hull University (UK) and she has Postgraduate Diploma from British Universities (in Nursing Education and Health and Safety). She is currently arnSenior Lecturer and Director of Nursing Degree Bridging Program in Bahrain & Saudi Aramco. Her research interest includes Reproductive Endocrinology and Infertility.